Just a few puppies still available! Ruby and Jet’s puppies were born March 2.They are growing and learning every day. It’s so much fun to watch them. 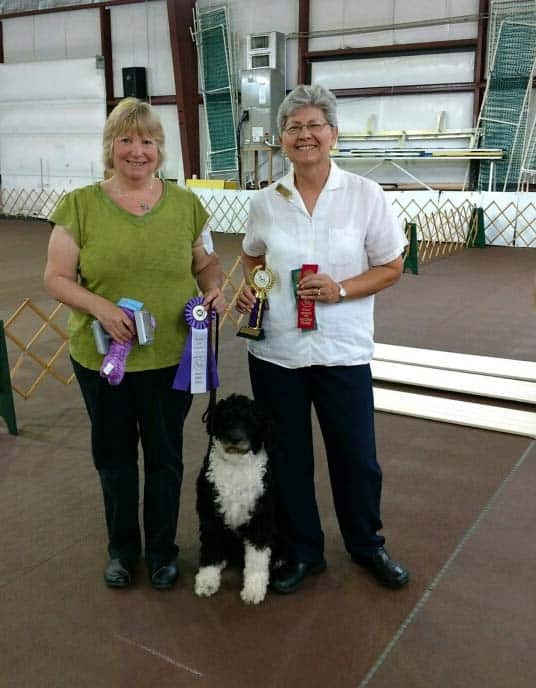 Liza (MACH Miraval’s Life is a Cabaret…) and her teammate Pam Lesher have had huge successes in obedience, agility, tracking, water work and rally. 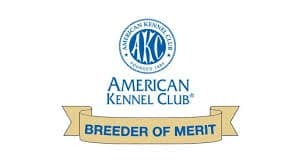 In 2017 they were named the #8 Novice Obedience PWD More info on things to do with your dogs – and an explanation of what all those letters mean. 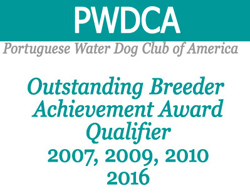 The story of this breeding started at the 2004 PWDCA Specialty on the Oregon Coast. I had planned a breeding of Dora to Ace and although she had come into season at the Specialty, she wasn’t ready to breed. Getting the breeding done at the Specialty would have been convienent since I lived near San Diego and Ace lived with Sarah Kahn in Seattle. Unfortunatly it didn’t happen. So after the Specialty I packed up my van with all the unsold 4myPWDs inventory (this was before Annie Herberholz took it over) the PWDs Aramis and Dora, and Breezer, an Australian Terrier who thought he might be at least part PWD and followed Sarah home to Seattle. After a week at Sarah’s without a sucessful breeding Sandy Overton offered me, and my 3 dogs, the use of her lake house. Thank You Sandy and Jim! I kept progesterone testing Dora, and finally on the 27th day of her season (about 2 weeks later than ususal) the breeding took place. My planned trip of a week and a half to the Specialty ended up being more than a month away from home. But here we are, 14 years later and it was worth it. On December 17, 2004 Jet and his 6 littermates were born. Yes, Jet just celebrated his 14th birthday! Arthur is about 10 weeks old. HE was introduced to the clicker when he started eating. I clicked every time I put food down for the puppies. Now he knows that the sound of the clicker means he is doing the right thing. When you work together with your dog builds your bond, and is fun. PWDs compete in Water Trials based on the work they did on the fishing boats in Portugal. Cricket can’t wait to do the next exercise. When Lola went home her family thought she’d be a great companion and go for long walks. She does that AND she’s become an agility star. Ruben is Ruby’s littermate, and a Champion. Now he spends time doing water work. Luna lives on Whidbey Island WA where she has her own boat.